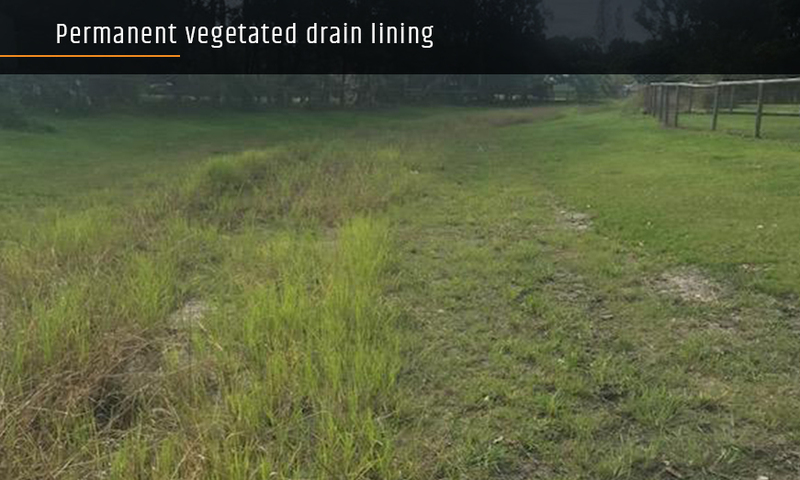 Ipswich City Council required a permanent vegetated drain lining solution that would stand up to natural rain events in the area. 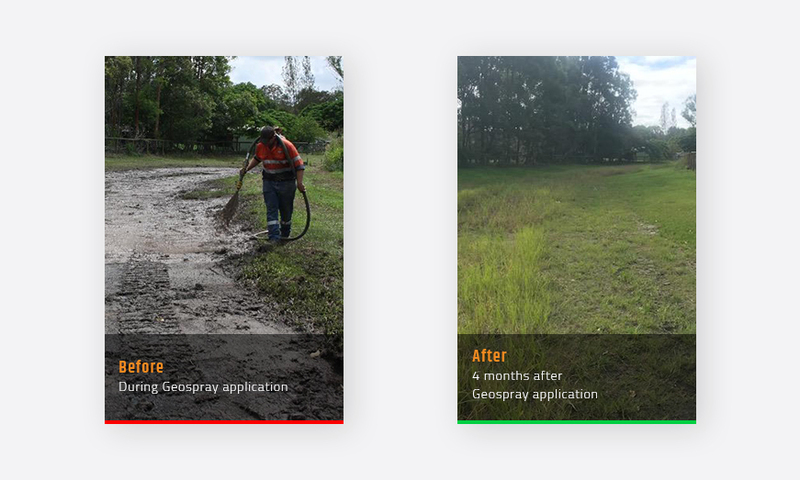 Our GeoSpray Original spray-on erosion control product was applied at a rate of 2 kg to the m2. GeoSpray performed as well as expected, providing a permanent solution that looks green and lush. Within 4-5 months of application, vegetation was well established thanks to natural rain events in the area.